Fun Bags at Barnes & Noble | Portraits of M.E. On a recent trip to Barnes & Noble, I purchased a few books. At the time I didn’t notice how unique the bag was. It was when I got home that the bag caught my attention. 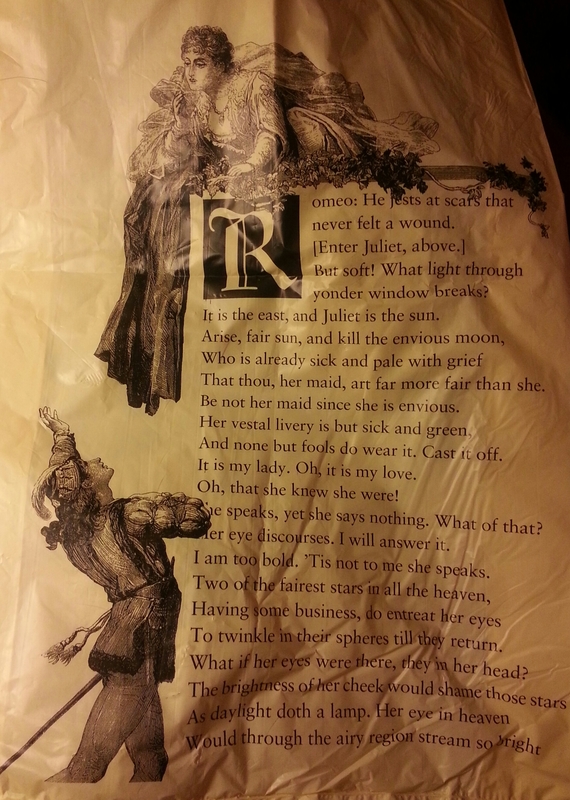 As I grabbed the bag to retrieve the books I bought, I noticed the outside of the bag had a picture with words from the Shakespearean novel, Romeo and Juliet, on it! The reverse side showed a picture of the shoes of the wicked witch from The Wizard of Oz and a few words from the story. How neat! 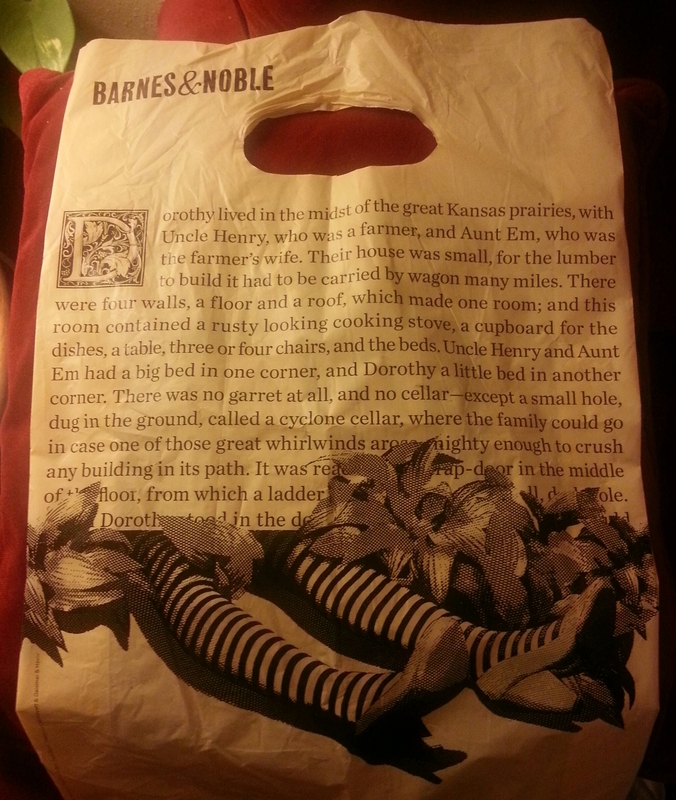 Have you come across these bags at your local Barnes & Noble? Haha, I should but I don’t visit Barnes & Noble that much! 😉 They are pretty cool though.